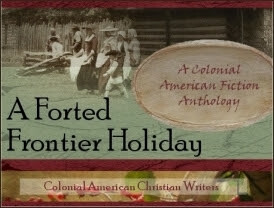 Colonial Quills Holiday Anthology including a chapter by me! and Gina Welborn. We will be announcing the giveaways from the first three serials and also giving away THREE books: copies of a book by Kelly Long, Dina's ebook, and a novella by Gina. 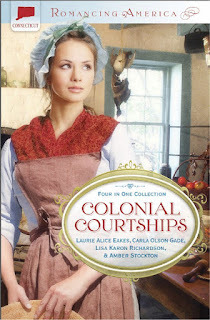 We will also have a colonial gift basket for one winner who comes "in character" which always makes things so fun!!! Come on by! Christmas is coming! Do these words fill you with joyful anticipation…or dread at the thought of approaching chaos and clutter? On December 31st do you wonder what happened instead of wondering at Christ’s birth? I invite you to cherish Christmas as never before. Journey back in time as you get to know those who were there, and bring new meaning to your own holiday. Cherish This Christmas helps each of us discover our unique role during this precious time of year as we get to know the One whom we celebrate differently…maybe a little better. This year let’s cut through the chaos and choose to... Cherish This Christmas! This collection of daily devotions will take you back to the days of Jesus' birth and help bring more meaning to the chaotic days of December. Through scriptural insight and personal reflection, Paula will help you to Cherish This Christmas. You can purchase the book here at Amazon, the Kindle edition here, or at Paula's CreateSpace store. About the Author: Paula Davis’ writing encourages her readers to apply God’s Word to everyday life. When years of searching for “Mr. Right” left her heart empty, she turned to God for comfort and found so much more. Paula now knows firsthand that completeness and contentment is only found when her eyes are focused on Jesus. She wants others to know this truth as well. Paula loves to share with others what she’s learning about the depth of God’s Love. At Christmas time, you'll find her in Central New York reading, baking or cuddling her little dog, Lucy, while sipping a good cup of coffee. You can follow her blog at www.pauladavispeace.com. The Giveaway To jubilate the release of her debut book, Paula is celebrating and you're invited to join along with her giveaway! Enter today by heading over to Paula's blog and jumping on the Rafflecopter. But hurry, the giveaway ends on December 15th. Winner will be announced at Paula's website, December 16, 2012. The author sent me the above book for review purposes. She will allow me to keep the book. I have no other connection to and have received no other compensation from Paula A. Davis. KATHY: Hi, Grace! Welcome back to History Repeats Itself. I am so excited about your new release. Thank you for your generous giveaway this week, and for sharing a little about your writing process. GRACE: I’m a history lover, even though my novels are set in contemporary times. Still, I can’t resist incorporating my love of history in different ways. How do I add in history? What about setting? Agecroft Hall in Richmond, Virginia was brought over from Lancashire, England about 1925 - a five-hundred-year-old Tudor estate that, like Wynnedower (as in A Stranger in Wynnedower), was shipped across the Atlantic to its new home where it was reconstructed. Near Agecroft Hall is Virginia House, also brought over from England at about the same time. Both Agecroft Hall and the Virginia House are transplanted houses, crated and shipped and reformed on this side of the Atlantic. A lot like Wynnedower. The Agecroft Hall estate is on the James River, but the water isn’t easily seen. I corrected that in Wynnedower. Wynnedower’s not Tudor, either, but instead, made of gray stone—that soft mellow stone of the Cotswold houses. It’s fictitious. I don’t have to worry about cost and practicality. That’s the joy of world building. History in a contemporary novel.... What about story props? I searched the Web and found an Edwardian peach-colored tea gown and a peacock shawl that absolutely had to be in that trunk in the attic for Rachel to find. And when she couldn’t resist, and draped that shawl around her shoulders, she looked into the mirror and saw someone else, mysterious and intriguing. Someone she might like to be. Add in skeleton keys and antique furniture and old paintings...and, wow, did I have a blast writing A Stranger in Wynnedower. Contemporary novels don’t always have historical elements, but it’s fun when they do. Rachel Sevier travels to Wynnedower Mansion in Virginia to find her younger brother who has stopped returning her calls. Instead, she finds Jack Wynne, the mansion’s bad-tempered owner. He isn’t happy to meet her. When her brother took off without notice, he left Jack in a lurch. Jack has his own plans. He’s tired of being responsible for everyone and everything. He wants to shake those obligations, including the old mansion. The last thing he needs is another complication, but he allows Rachel to stay while she waits for her brother to return. At Wynnedower, Rachel becomes curious about the house and its owner. If rumors are true, the means to save Wynnedower Mansion from demolition are hidden within its walls, but the other inhabitants of Wynnedower have agendas, too. Not only may Wynnedower’s treasure be stolen, but also the life of its arrogant master. In letting go of what she has struggled to control and hold onto, will Rachel gain more than she could have dreamed? Or will she lose everything and everyone she cares about? 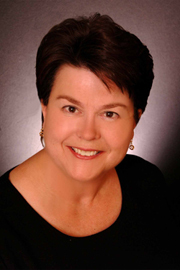 BIO: Grace Greene writes fiction with romance, suspense and inspiration ~ always with a strong heroine at its heart. She is also an artist and photographer. When she's writing, all of these interests show up on the page. BEACH RENTAL is her debut release. Her second novel, KINCAID'S HOPE, released in January 2012. A STRANGER IN WYNNEDOWER has only just been released. Grace lives in central Virginia. 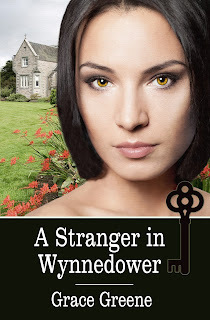 Grace has generously agreed to give away an ecopy of her new book, A Stranger in Wynnedower to two lucky commenters. Here's what you need to do: Leave Grace a question or comment, and be sure to include your email addy. For more chances to win, "like" Grace's book on amazon, follow her on twitter or facebook, or follow this blog, and share this blogpost on your fb or twitter. That gives you a total of 7 possible entries. Good luck! The winners will be drawn by random.org on Nov 17th at noon ET. Welcome, Katt Anderson! Congratulations on your new book, Callie’s Mountain. We are so happy to have you here this week, and that you have agreed to share a bit about yourself. Q: brownies, broccoli, tofu (gack!) or strawberries? Broccoli! Love broccoli. Can’t eat strawberries and brownies makes my middle larger. I’ve never tasted tofu. Broccoli is safe. Probably in elementary school. I’ve always had an imagination. Definitely in high school. Q: How do your roles of mother, wife, hobbyist, daughter of Christ, resident of Kentucky, play into your writing? Everything I do spills into my writing. In Callie’s Mountain, I have a death scene. I took so much of it from my daughter’s death. I had to dig deep into my soul and remember the way I felt when they told us she had passed away. I knew I had to do it for therapy and for the book. Christianity plays a big role in this book. I don’t think I could not write a book and not show Christ’s love for mankind. This book is about a lot of difficulties of a different race, and how people treated them because they were different. My hobbies are so widespread. I knit, sew, paint, and just about anything I can think of to do. I’ve narrowed it down a lot lately. One thing my husband and I love to do is go back to the old ways, the way our forefather’s did something. We make apple butter every year like our grandparents did. Outside in a brass kettle. It takes all day, but it is so much fun. We have several couples who help us, and it is so good when it’s finished. 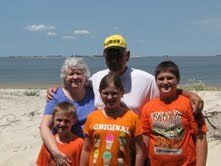 My grandchildren have all participated in it. I’ve put a picture and description on my blog, http://www.kattscribbles.blogspot.com/. My website is http://www.kattanderson.com/. Q: You love history and literature, as do I. If you could sit down and interview any author from any time, who would that be and what is the first question you would ask? Several authors have inspired and encouraged me. Back when I first started, DiAnn Mills and Mindy Starns Clark encouraged me to tell my story, because it needed to be told. Right now, I depend on Sandi Rog and Susan Paige Davis. They have helped me so much during the writing process. Not only have then encouraged me with my story, but taught me writing skills. They are both wonderful authors and wonderful friends. Q: What do you hope your readers will take away from your book? I like to write about the person who is looked down upon. The person who has faults and failures, but doesn’t understand why they can’t be treated equal. I want people to realize that God made us all different, but we all have a purpose. The next book in the Melungeon Series will be more about the Melungeon people and their problems. It’s pronounced Me-lung-eon. The third one includes the Melungeons and the Trail of Tears. I wept when I visited the Trail of Tears monuments in Hopkinsville, KY. It is a very moving experience and the Cherokee Indians were treated so unfairly. Of course, my first question would be: Have you bought my book? The second would be: Did you like it? I would like to invite your readers to ask me questions about the Melungeons or any other question they might have. I love talking to people, or writing to them. Thanks Kathy for inviting me to be a guest on your blog. I will be giving away a book, and I wish everyone could receive one. It’s been a pleasure. Katt, it is my pleasure to have you here and to get to know a little more about you. Thank you for agreeing to spend time with our readers this week, and for offering a copy of your book as a giveaway. Okay, for a chance to win, leave a question or answer for Katt, and be sure to include your email addy. For extra chances to win, follow this blog or Katt’s, and post this blog entry to twitter or facebook. That means you have five possible ways to enter. Drawing will be on Monday November 12 at noon ET, where I select a name from random.org from among all the entries. Good luck!